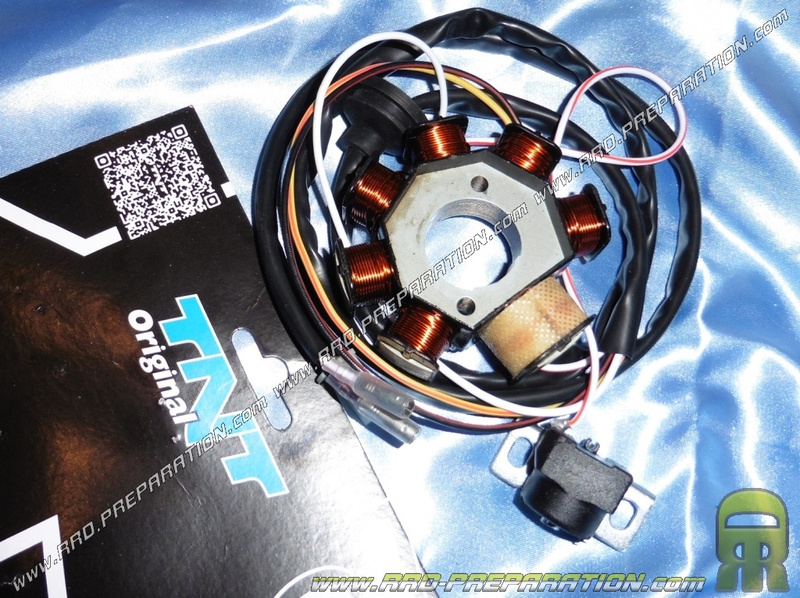 Stator of ignition TNT ORIGINAL, origin type of good quality, ideal in case of problems and breakdown of ignition. Supplied with cables and sensor. Mounts on scooters with engine MINARELLI before 2004!